At half past noon, you hear a “dull, muffled roar” [pdf]. Then, it happens. Structural integrity fails. The top of the tank blows sky-high. The contents rush out at 35 miles per hour, destroying anything and everything in its wake. The torrent of sweetener reaches an estimated 25 feet high at its apex before falling to 15 feet, a veritable tsunami of sugar tearing entire a building off its foundation, crushing children to death beneath train cars, and throwing grown men like rag-dolls. Blood is everywhere. Unable to escape, horses struggle in vain against the liquid goo that now pulls them to their death; sucrose turned to quicksand. It’s total chaos, screams filling the air. By the time it all over, 150 people are injured, 21 dead. An entire section of one of America’s largest cities is leveled as if a bomb had been detonated. Some victims are buried so deeply it will take more than half a year, and 87,000 man hours2, to recover them from their now-entombed candy graves. The country wouldn’t see an engineering failure quite like it for another half-century when the Kansas City Hyatt Regency disaster changed the rules of modern architecture. By the time it was all over, in addition to the lives lost, inflation-adjusted property damage exceeded $110,000,000. The legal battle turned into one of the longest running court conflicts in American history with those deemed responsible ultimately paying out less than $12,000,000 in inflation-adjusted damages. There is a lot of wisdom we can extract from The Great Boston Molasses Flood of 1919; lessons that can help us live better personal lives, protect our livelihoods, and keep the community more secure. The entire molasses disaster happened because of a combination of impatience and attempting to save a few pennies. The tanker was built at an inflation-adjusted cost of $700,000. It was completed only a few days prior to the shipment of molasses arriving so the builders never tested it with seawater as the owner wanted to avoid paying to store the sugar in third-party facilities. Had they paid the relatively insignificant storage costs while the construction team checked the structural integrity, they would have ended up saving millions upon millions of dollars in purchasing power equivalent while simultaneously keeping their friends, workers, and fellow citizens alive and unharmed. 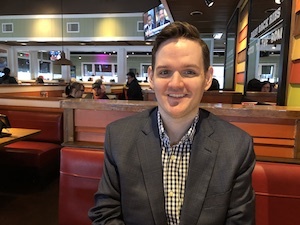 I once had lunch in New Jersey with a man who built an insurance brokerage business that produced seven-figures a year in income for his family. To save on costs, he had no internal audit mechanism, preferring to attempt to do everything himself. One day, he woke up to discover a trusted employee had embezzled all of the firm’s cash, forged the bank documents, and there was no money, anywhere. This otherwise highly profitable enterprise, which could have survived just fine, was forced into liquidation. He was ruined. After many years, he rebuilt from nothing and once again reached the seven-figure per annum income mark, but he would never try to build a firm, again, as the experience left him bitter. A few thousand dollars a year in fees to a third-party independent auditor could have saved him tens of millions of dollars in foregone net worth that now exists in somebody else’s hands. The people of Boston walked past this container filled with molasses year after year. Each day, it was growing weaker. Every night, it was inching closer and closer to destruction. The corners that were cut during its construction no doubt faded in the minds of the people who built it; “it’s worked just fine all this time, why worry?” was likely their refrain. The universe didn’t care. Those bad decisions were accruing, building upon themselves. It was a case of physics; action and reaction, cause and effect. If you’ve made bad decisions in your life that are currently still present, fix them now. Make it your highest priority. There is this general illusion that you’ll get to it someday when it is worthy of your time. That’s not how the world works. The molasses tank didn’t slowly start collapsing and gently ooze out of its boundaries. Rather, it built up over time until in one spectacular explosion, tearing asunder everything in its path. People go years building up credit card debt, slowly adding to their liabilities until one day they find that their payment is barely covering the interest alone. People go years ignoring their kids, putting other things first until they one day they discover their children have no time for them, the relationship non-existent. People go years neglecting or abusing their spouse, taking for granted that he or she will always be there until one day they find an empty closet and a note on the nightstand. People go years slowly putting on weight, a few pounds here, letting their waistline creep up until one day they fall over with a massive heart attack and die or find themselves in a doctors office diagnosed with diabetes. People go years without making small repairs in their home only to find that what were once easily fixable problems now require major corrective renovations. People go years taking their clients or customers for granted, offering sub-par service, and believing they’ll always be the only game in town to wake up and watch sales fall 80% in a matter of months when a better alternative comes along. Maintenance is easier than course correction. Maintenance is cheaper in time, energy, and resource outlay than course correction. Fix the neglect in your life and then maintain or improve so you don’t wake up to catastrophe that could have been prevented. 3. Be Vigilant Because You Can Do Everything Right and Get Wiped Out Due to Someone Else’s Stupidity. Pay attention to proximity and watch out for exposure to the mistakes of those surrounding you. If you had owned a shop across the street, you’d have lost everything, if not your life, because of someone else’s mistake. Had you seen the molasses tank leaking, and heard the “ominous grumbles” that were occurring from within prior to the disaster, you should have taken action. Move your business. Bring it to light so it can be corrected. Don’t just stand by and say, “Not my problem” because it very well could turn into your problem. Life is not always fair. The biggest defense you have is your own vigilance. Do you have friends fond of keeping cocaine sitting out on their living room table? Family members who are felons but still carry a non-registered gun in their glove box? An Ivy League roommate who steals small items when the opportunity presents itself despite having no need for them? Colleagues who are constantly cheating on their wives? Extricate yourself from the situation and remove them from orbit. Their behavior will spill over into your own life, either directly or collaterally in the form of damage to your reputation capital via mere association. It’s sometimes hard to see the light at the end of the tunnel when you’re in the midst of personal or business disaster. Mercifully, things usually work out if you can manage to survive long enough. Start by making it through the day. Focus on doing the most intelligent things you can. Little by little, step by step, you make progress. It may be slow going at first, but recovery happens. 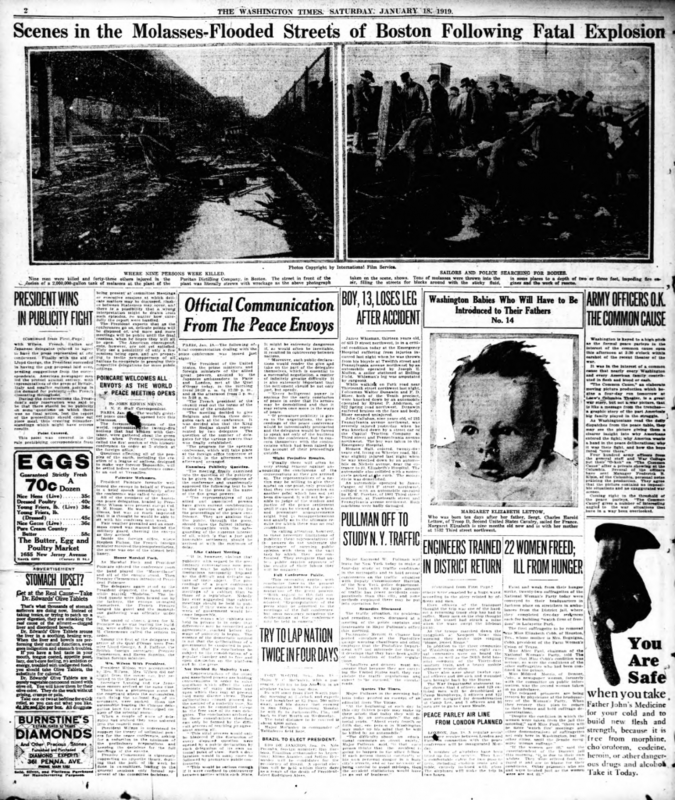 There was a time when nearly every man, woman, and child in the United States knew of The Great Boston Molasses Flood of 1919 but outside of certain parts of the East Coast, the tale has largely been forgotten; a memory as distant and dream-like as the night black Wall Street burned to the ground. There’s comfort in that. You might be staring down the barrel of a bankruptcy filing, a divorce, a health crisis, or some other disaster because you didn’t heed the earlier advice in time. Push through. Be productive, appreciate the good and know that time erases a lot. 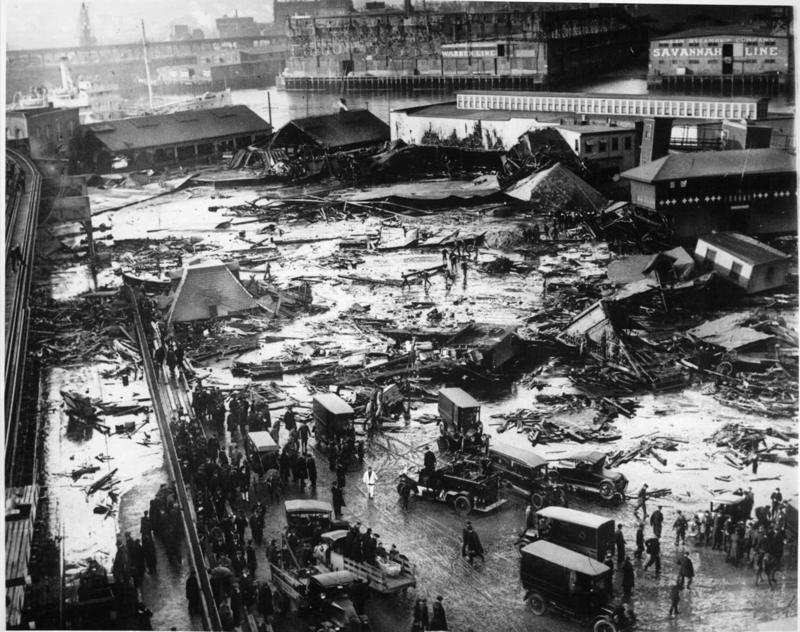 1, 2 Source: History Today, A Sticky Tragedy: The Boston Molasses Disaster. To learn more about the disaster, check out Dark Tide: The Great Boston Molasses Flood of 1919 by Stephen Puleo.